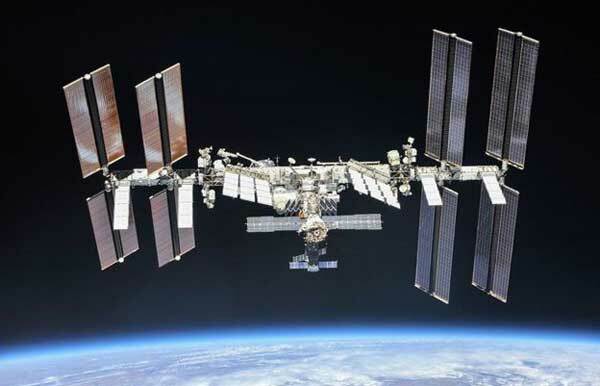 KENNEDY SPACE CENTER (FL), December 17, 2018 (CASIS PR) – The International Space Station (ISS) U.S. National Laboratory today announced a series of selected concepts in association with its Request for Proposals (RFP) for investigators to access biological specimens from its Rodent Research Reference Mission-1, Applications for Spaceflight Biospecimens. On SpaceX’s recent 16th commercial resupply mission, 40 mice of two different age groups were sent to the orbiting laboratory for comparison with age-matched ground controls as part of this reference mission. 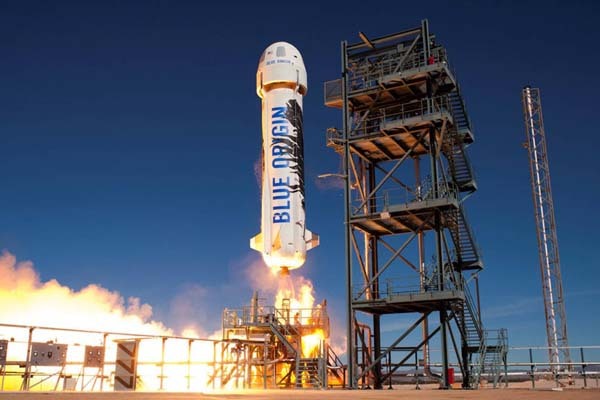 Awardees from this RFP will have the ability to evaluate spaceflight biospecimens once they are returned to Earth as well as ground controls. EDWARDS, Calif. (NASA PR) — Suborbital space is the perfect environment for researchers to test experiments, edging them closer to inclusion on future exploration and science missions. 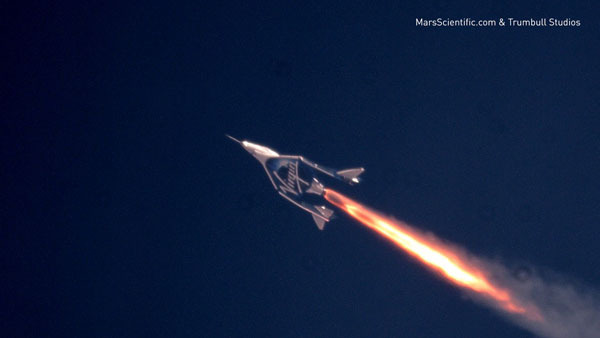 NASA’s Flight Opportunities program gives researchers this access, funding flights on Blue Origin and other commercial providers. Cape Canaveral, Fla. (NanoRacks PR) – Last weekend, Dragon, the spacecraft from the sixteenth SpaceX contracted resupply mission, berthed with the International Space Station carrying educational experiments, CubeSats, and industry science research from NanoRacks’ customers into orbit. 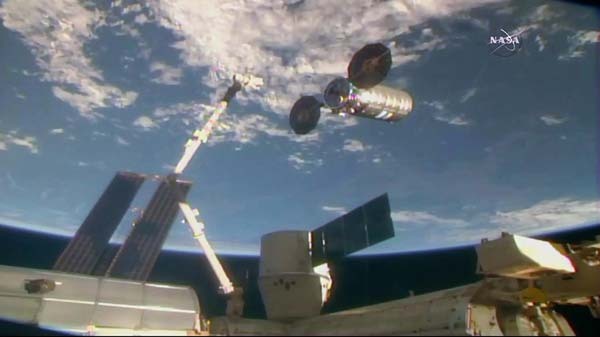 Within this mission, the NanoRacks team delivered payloads for four of the Company’s commercial platforms on Space Station. HOUSTON (NASA PR) — Three days after its launch from Florida, the SpaceX Dragon cargo spacecraft was installed on the Earth-facing side of the International Space Station’s Harmony module at 10:36 a.m. EST. CAPE CANAVERAL, Fla. (NASA PR) — Experiments in forest observation, protein crystal growth and in-space fuel transfer demonstration are heading to the International Space Station following the launch Wednesday of SpaceX’s 16th mission for NASA under the agency’s Commercial Resupply Services contract. KENNEDY SPACE CENTER, Fla, November 27, 2018 (SpaceX PR)– SpaceX is targeting no earlier than December 4 at 1:38 p.m. EST for its 16th commercial resupply mission (awarded by NASA) to the International Space Station from Launch Complex 40 at Cape Canaveral Air Force Station. SpaceX’s Dragon spacecraft will bring approximately 300 kilograms of research and hardware facilities to the orbiting laboratory under the International Space Station (ISS) U.S. National Laboratory flight allocation. 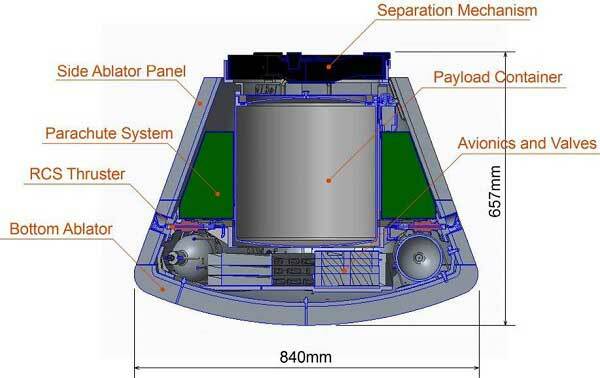 There are more than 20 payloads included on this mission sponsored by the ISS National Lab. SWINDON, UK (UK Space Agency PR) — UK science will be launched into space to help tackle the effects of ageing, thanks to funding from the UK Space Agency, the Science Minister Sam Gyimah has announced. Research to improve our understanding of the ageing process and develop new materials as part of government’s Industrial Strategy. Universities of Liverpool, Nottingham, Exeter and Strathclyde to benefit. JAXA has successfully recovered a capsule with experiments aboard from the International Space Station (ISS) for the first time. The HTV Small Re-entry Capsule (HSRC) splashed down in the ocean under a parachute near the island of Minamitorishima. The experimental capsule separated from the HTV-7 (Kounotori) resupply ship after the latter separated from ISS. Kounotori burned up in Earth’s atmosphere as planned. 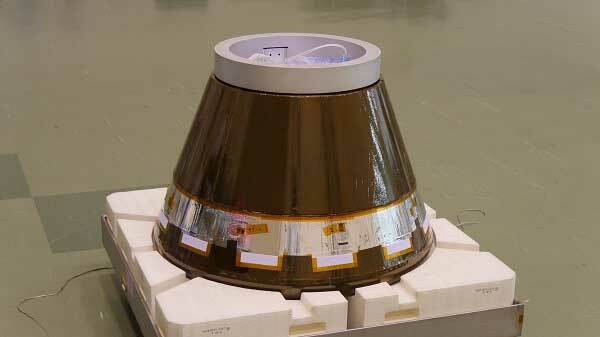 HRSC provides another way to return experiments from the space station. SpaceX’s Dragon resupply ship is currently the only dedicated cargo vehicle that can return research. Russia’s crewed Soyuz vehicle has limited space available for experiments when there are three astronauts aboard. HTV-7 carried approximately 6.2 metric tons of cargo to the space station. 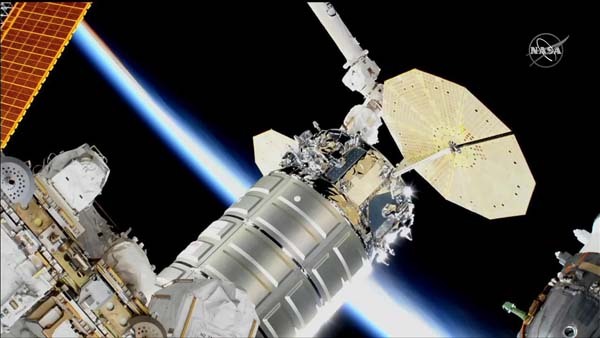 Supplies included new ISS batteries using Japanese Lithium-Ion batteries, large experiment racks provided by NASA and ESA, three CubeSats and fresh food. 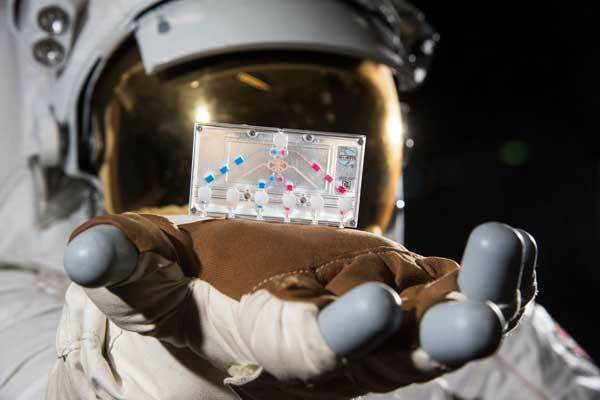 HOUSTON (NASA PR) — A small device that contains human cells in a 3D matrix represents a giant leap in the ability of scientists to test how those cells respond to stresses, drugs and genetic changes. About the size of a thumb drive, the devices are known as tissue chips or organs on chips. HOUSTON (NASA PR) — The Northrop Grumman Cygnus resupply flight 10 (CRS-10) is scheduled to launch to the International Space Station in mid-November. The craft’s cargo includes several tons of crew supplies and science experiments ranging from 3D printing and recycling to simulating the creation of celestial bodies from stardust. KENNEDY SPACE CENTER, Fla., October 24, 2018 (CASIS PR) – The International Space Station (ISS) U.S. National Laboratory, the National Center for Advancing Translational Sciences (NCATS) and the National Institute of Biomedical Imaging and Bioengineering (NIBIB), today announced a series of project awards stemming from a funding opportunity on human physiology and disease onboard the orbiting laboratory. Both NCATS and NIBIB are part of the National Institutes of Health (NIH).